At Goodwood Primary School all students participate in Taiko/Percussion/Music lessons for two terms with a trained teacher. 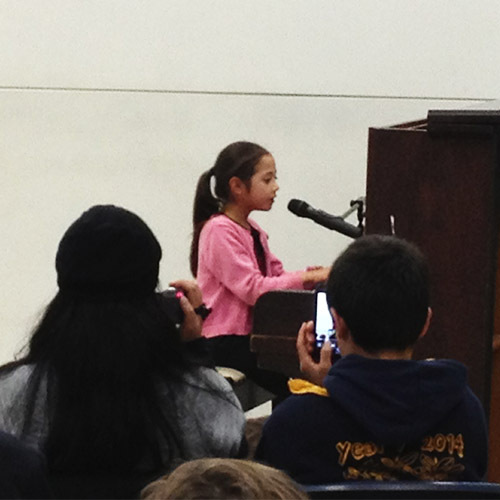 Students perform regularly at assemblies and parent performances. Students in years 6 and 7 are trained by a choir teacher each week and they perform at the Adelaide Festival of Music in September at the Festival Theatre. Currently we have an number of tutors who teach a range of instruments through the 'Learning Though Music Company'. They provide a range of teachers for many instruments.